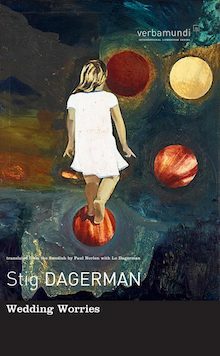 Although it doesn’t seem like everyone believes me–I’ve gotten a few emails about titles that didn’t make the Best Translated Book Award longlists, and one promoting a conspiracy theory that I am Adam Hetherington—I had no clear idea which titles made the BTBA longlists until they appeared on The Millions yesterday morning. P. T. Smith and I worked this out some time ago, so that he’s in touch with all the judges and everyone else promoting the awards, and I’m as far removed from this as can be. And, in a bit of an unusual twist, I get to write my own hot take about which books made it and which were shunned! 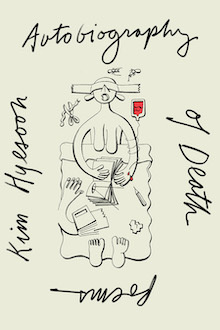 I don’t have a lot to say about this except that I actually have read three of the titles already, and am putting my money on Autobiography of Death by Kim Hyesoon, translated from the Korean by Don Mee Choi. Don Mee Choi is, hands down, one of the best Korean translators of all time. And Kim Hyesoon is incredibly interesting—experimental in ways that are stimulating and exciting, without being too inaccessible. Doing poetry things that are very poetic and good. 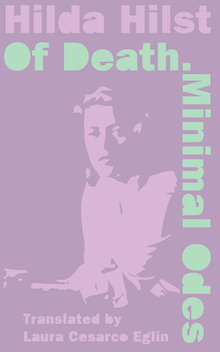 She’s been longlisted before (for Sorrowtoothpaste Mirrorcream, which was published by Action Books, the press that did all of her collections until New Directions got this one), and I think this is her time. Besides, betting against New Directions is like betting against Duke and Coach K—not advisable! New Directions has won the BTBA four times in the past, including twice for poetry. JUGGERNAUT! This is the moment when armchair analysts realize a) how many translations are actually eligible (511 according to the Translation Database, although it’s likely that not all of these reached the judges despite everyone’s best efforts to evaluate every single book) and b) how few of these titles they’ve actually read. It’s really easy to build a list of 25 fiction titles out of the 50-80 books that you’ve read in a year; it’s easier to imagine reading an additional 100 translations and replacing 10+ titles from your projected longlist with books that have otherwise escaped your notice. 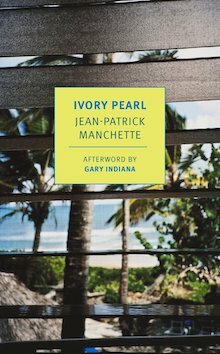 Ivory Pearl by Jean-Patrick Manchette, although I can see how this would get passed over since it was incomplete at the time of Manchette’s passing. Still, it’s really good. And how exactly did NYRB get shut out? That’s pretty wild, although maybe not as wild as . . .
How about Blue Self-Portrait by Noemi Lefebvre? I feel like this was on everyone’s favorite books of 2018 list early in the process. Seemed like a lock to me. It’s only a matter of time before Transit starts cleaning up in all of these awards. There are other presses I thought would have at least one title on there—like New Vessel—but the final book that I was hoping would make it, but didn’t, is Madame Victoria by Catherine Leroux. I’ve become a Leroux fanatic over the past few months, so I’ve got a bit of recency bias going on, but still. Congo Inc.: Bismarck’s Testament by In Koli Jean Bofane, translated from the French by Marjolijn de Jager, which I think I gave to a student to review, but either that never happened, or the review was unremarkable. This does seem to fit in with some of the nonfiction I’ve been reading this month. 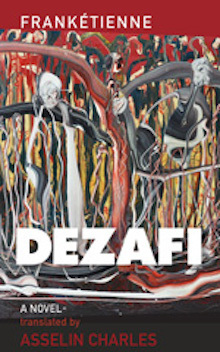 Dézafi by Frankétienne, translated from the French by Asselin Charles, which is maybe a controversial choice? At least according to the Twitter? I could do without that cover, but it sounds more or less up my alley, so I’m going to reserve judgement. The most surprising for me has to be A Dead Rose by Aurora Cáceres, translated from the Spanish by Laura Kanost. This is the only title in the Translation Database from Stockcero (which might be an error? ), and is the first Peruvian book to make a Best Translated Book Award longlist. I’d be shocked to find out that more than eight of you have read this book. But that’s what’s great about the BTBAs! The expected titles don’t always get the nominations (see: every Haruki Murakami ever) and there are always a few surprises, which, in the end, turn round to be pretty damn good books—just ones that flew under the radar of Translation Twitter. I love that! Over the next month, there will be 35 “Why This Book Should Win” articles presenting all of these titles to general readers. We’ll all get to know these titles, what makes them special, why they were selected for this longlist. And in the end, as mid-May approaches, we can all make very qualified, rational prognostications about which 10 fiction titles and 5 poetry collections will make it to the next round. That sounds great, but is also TOTALLY BORING. Let’s speculate now, with next to no knowledge!